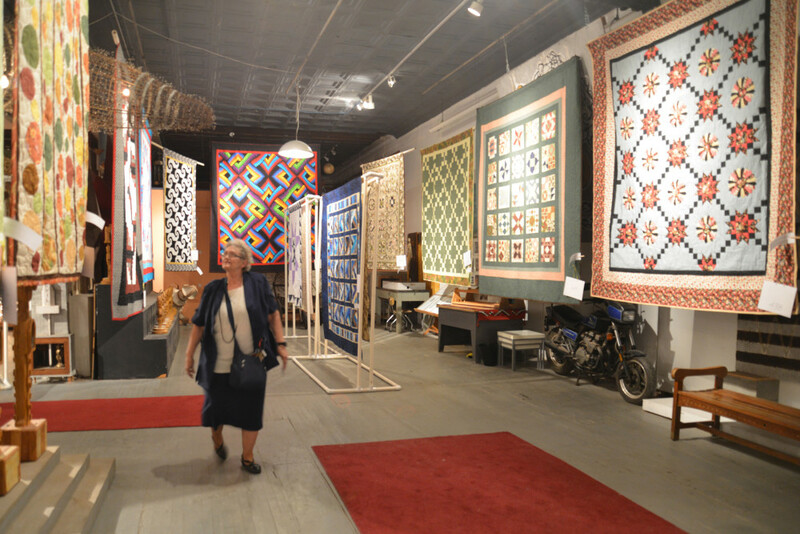 Snowdrift Art Space is honored to host the 12th Annual Material Girls Quilt Guild Show on Friday and Saturday, September 25 and 26 *and* Friday and Saturday, October 2 and 3, 2015. Hours are from 10 am to 6 pm each day, and admission is $1. Over 70 quilts in multiple categories will be on display, and visitors can vote for their favorite. The drawing for a raffled quilt will be held on Saturday, October 3, and tickets are on sale at the show for $1 each or $5 for 6 tickets. Charlie from Odegaard’s Sewing Center in Flagstaff will sell quilting supplies the first weekend, and Sharon from Painted Desert Quilts in Holbrook will do the same on the second weekend. Two special groups of quilts are part of the show this year. Eight “Quilts of Valor” made by members of the Material Girls Quilt Guild will be on display. These special quilts were created as gifts for combat veterans from any service branch who have recently returned home to Winslow or the surrounding area. In addition, four quilts made by children or grandchildren of guild members will also be on display. Created as part of an effort to encourage the next generation to participate in the tradition of quilting, these works will be judged in a special competition by Justice of the Peace B.J. Little. Snowdrift Art Space hosts this event as an affiliate of the Winslow Arts Trust, or WAT, a nonprofit organization that works with historians, artists and performers to create programs that celebrate the culture of the Winslow area and Historic Route 66 corridor.